Other Mac additions include large amounts of new content, including an extra 1,000 Apple loops spread across diverse genres. More than 100 dance and hip-hop synthesizer patches have been added, which take advantage of a Transform Pad Smart Control for morphing. Users can now record Smart Controls in order to capture performances invovling effect and tone adjustments. There are also 10 new drummers, again covering hip-hop and various dance genres, some of the latter including house, trap, and dubstep. Less critical improvements include a fix of a bug that could stop the export of long recordings, and unspecified upgrades to Accessibility. 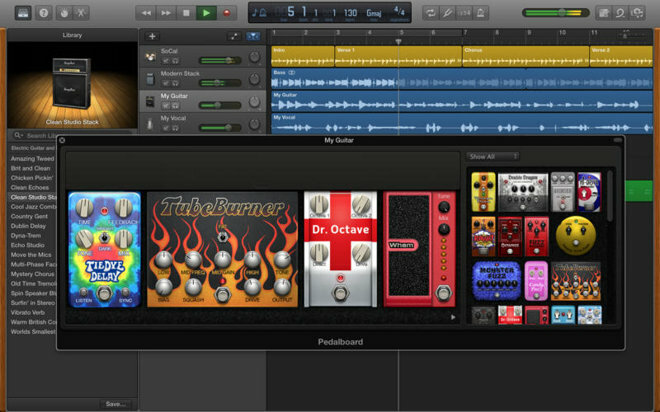 GarageBand 10.1 is a free download from the Mac App Store, and requires OS X 10.9. Publishing to Apple Music Connect is restricted to people with a registered Connect account. Update: The iOS version of the app has also been updated, but only with Apple Music Connect publishing and various bugfixes.